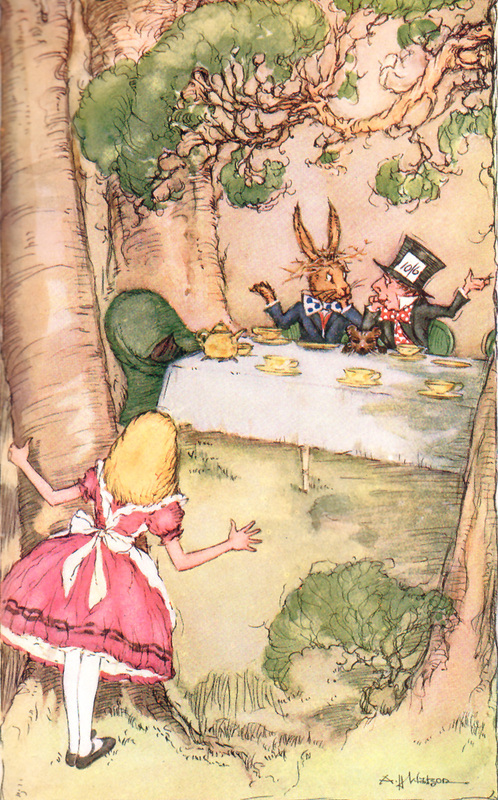 Alice’s Adventures in Wonderland and Through the Looking Glass, illustrated by A.H.Watson. Published by Collins in 1956. Inscription on the flyleaf dated 1957. Hardbound: cloth boards, with no dustjacket. 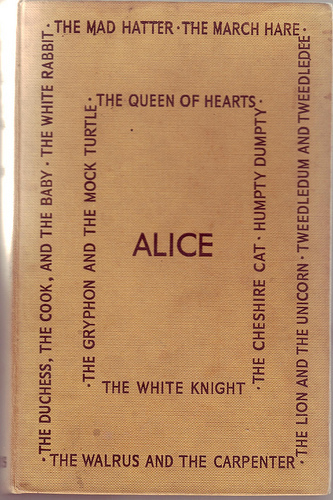 I love the cover of this with the surrounding lists of characters protecting Alice in the middle. Illustrations are a mixture of black and white text inclusions, and colour plates. Sorry, I don’t know about valuations. I think mine was a couple of pounds.